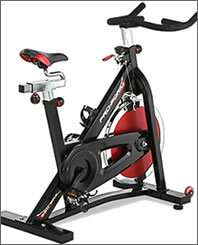 Bikes are a great way to get an effective cardio workout at home or in the office. 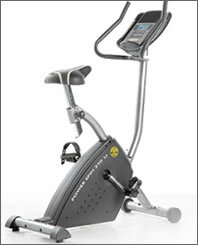 Exercise bikes these days come with some pretty advanced features compared to models sold in the past. 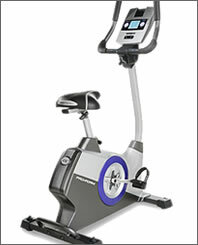 Recent advances in computer technology have allowed exercise equipment manufacturers to really jazz up their stationary bike models with some high-tech features. 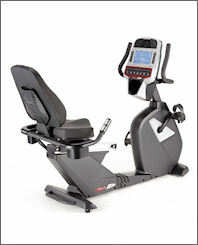 Exercise bikes like you’ll find here at TV Gyms come with everything from computerized consoles with exercise programs and workout tracking to heart rate monitors and huge LCD displays. Many even allow you to store multiple customizable workout profiles so the whole family can take advantage of having their very own profile. 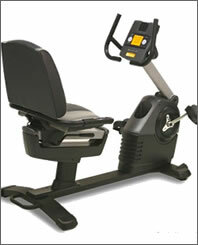 In addition most manufacturers also now offer exercise bikes in upright and recumbent configurations. 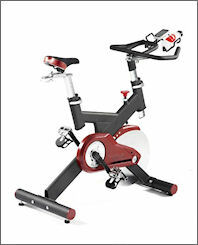 One reason for this somewhat recent change is that ergonomics come into play much more in modern indoor exercise bicycles. 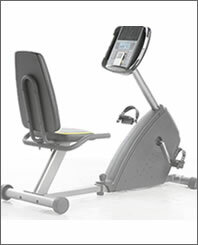 Recent advances in the field of ergonomics, owing to extensive research, have enabled the design and manufacturing of exercise bikes that are much more comfortable to ride for longer periods of time. 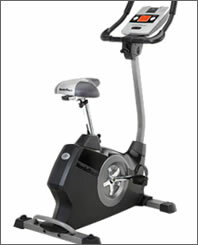 This of course has the benefit of allowing you to burn more calories in a single exercise session. Getting a more effective workout every time you exercise certainly helps keep you motivated and thus exercising more often too. And getting more exercise really is the goal isn’t it? 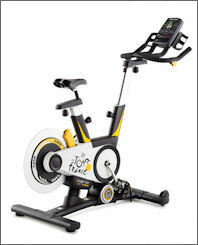 Check out the selection of bikes that we offer and find a model that suits your needs. 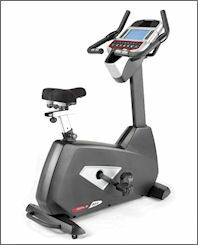 We offer bikes from only the leading manufacturers in the fitness industry so you can be assured that every model we offer is of the highest caliber.